The holiday season can easily become a time when your energy bill can spike and cost you a lot of extra money, but it does not have to be. Here are some simple ways you can lower your bills and save energy during the holiday season. LED lights use 90% less electricity than other Christmas lights, and can be purchased for around $10 a stand. They are also safer because they are shatterproof, shock resistant, and cool to the touch. 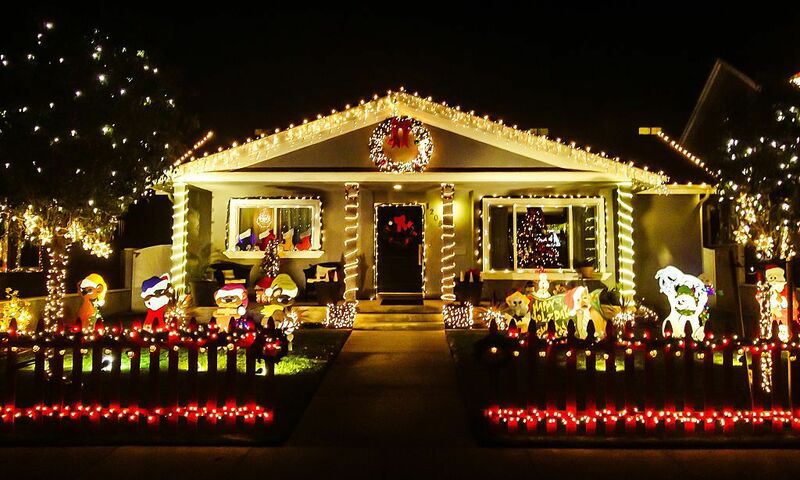 Be sure to turn off your house lights when when you are using your Decorative lights. If your Christmas lights are bright enough to light up your room, there is no need to use your house lights and waste energy. Also make sure you are not overusing your holiday lights. Do not leave your tree or house lights on overnight or when you are not home. Why waste energy, or money, when you are not even using it? When you are cooking with the oven, do not open the door to see your food. If you need to see the food inside, use the oven light if at all possible. When you open the oven door, the oven can drop as much as 25 degrees. Doing this will waste both energy and cooking time. Similar to the last point, keep the lid on your pot when you are using the stove. When you cook with a lid, your food cooks faster and you use less energy. Try to eliminate how much you remove the lid from your pots when you are cooking. Try to use the microwave when cooking if you can. Obviously this is not an option for cooking your whole Thanksgiving turkey, but if you are heating up small dishes, try to use the oven as little as possible. Using the microwave saves 50% or more of your energy. Preheating your oven is not necessarily important when you are cooking foods for long periods of time. If you skip this, you will save a lot of extra energy. You can also optimize your energy usage if you turn off your oven 10-15 mins before you need to. You can use the extra heat to finish cooking your food without using any extra energy. Another way to save on energy is through your heat. Find other ways to heat your home and reduce the amount of heat you use from your thermostat. You can lower your thermostat if guests are going to be in your home, because their body heat will make up for the lower thermostat temperatures. Use the oven as an extra source of heat. You can leave the oven door open after you finish cooking and it is turned off. This way, the heat will be released into your home and you can optimize the heat you already have. Optimize the free heat that the sun provides. Open your blinds and curtains and let the sun shine into your home. Make sure you unplug all your appliances when you leave. Your appliances are still sucking up energy even if they are not being used. If you are going on a vacation or long trip, be sure to unplug your home’s devices and appliances so that you are not wasting any money. Be sure that all your windows and doors are fully closed and properly sealed. Open doors and windows create a way for heat to escape and cold to enter your home. This makes it so your heater has to work double time.